And just like any good house party, we’re opening the decks up to all our favourite bedroom DJs and after-party hero’s out there. 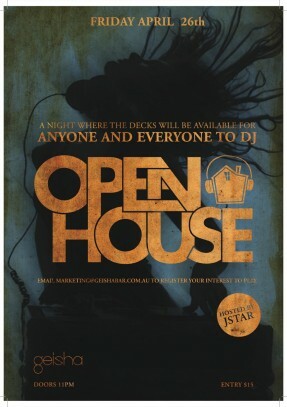 Tell your favourite party resident to email marketing@geishabar.com.au to register interest. DJ with the most guest list attendees before 1am gets the prime-time 2 till 3 slot, while the others battle it out throughout the night.